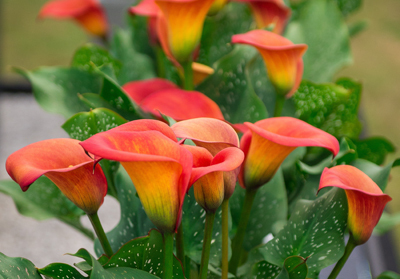 The coloured Zantedeschia (Calla) varieties we supply have been chosen both for their vibrancy in colour but also their suitability for growing in containers in the UK. 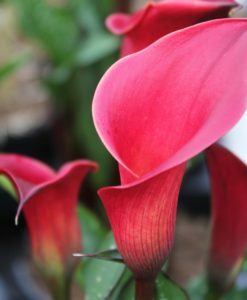 We supply the same size and quality bulbs we use for the flower shows. 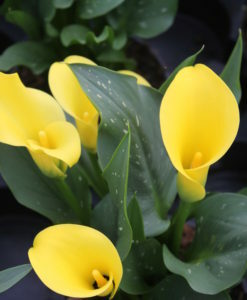 Unlike Zantedeschia aethiopica (Arum Lily), the coloured Zantedeschia do not like to be too wet, meaning they are best grown in containers on sunny patios in free draining compost. 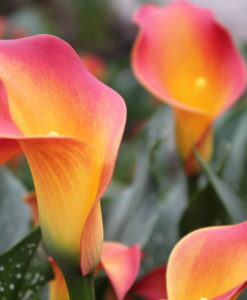 They are quite drought tolerant and are much happier kept on the drier side. 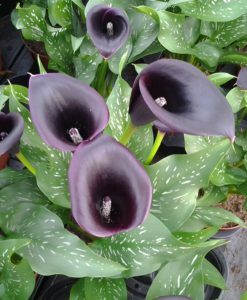 The bulbs should be planted as soon as you receive them and they need to be kept at around 160C to begin with. 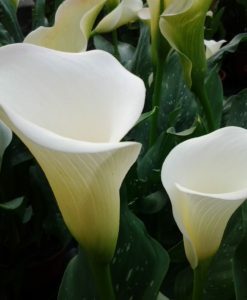 They can go outside once all the risk of frost has passed. 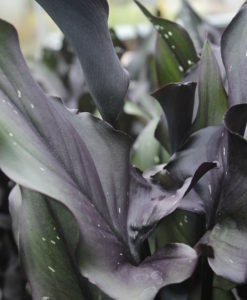 Full detailed growing instruction can be found here and will also be supplied with you order. 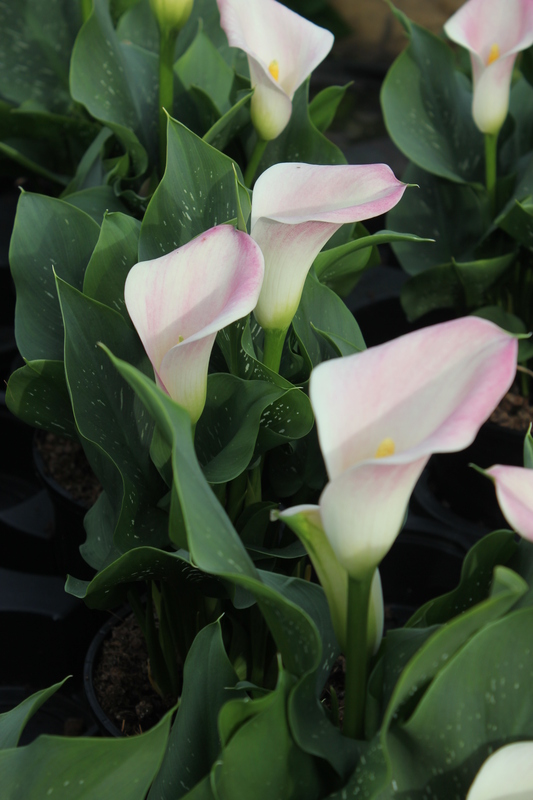 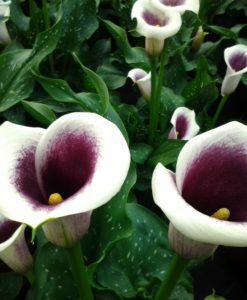 Zantedeschia rhizomes (bulbs) are available to order all year round but are only dispatched between March and May. 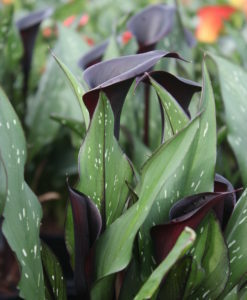 Depending on your growing conditions these months are the best times for planting. 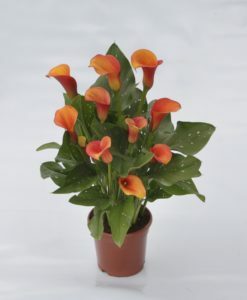 Orders placed between March and May will be dispatched immediately. 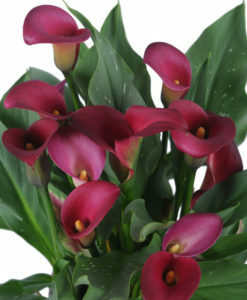 For orders placed any other time of the year you will be asked to select your preferred delivery week. 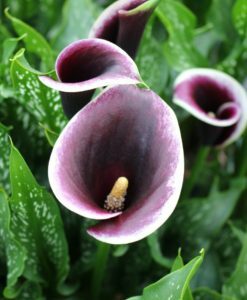 These are our recommendations for delivery dependant on what growing conditions you have.